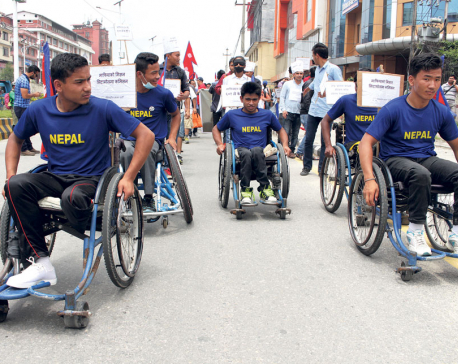 KATHMANDU, Oct 1: The Solidarity for Dr Govinda KC Alliance is all set to organize a peace march on Saturday. According to a statement issued by Bibeksheel Nepali Party, the peace march's slogan will be "End corruption: Support Democracy". The march will start from Maitighar and end at New Baneshwar. Dr Govinda KC demanding parliamentary endorsement of a new medical education bill began ninth round of fast-unto-death from September 26. 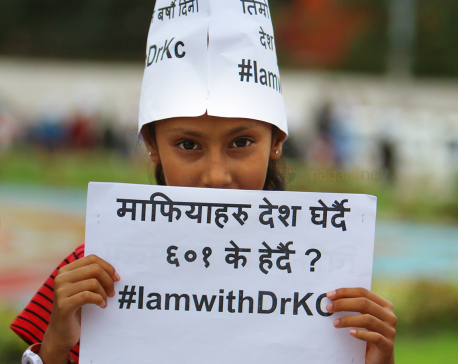 Dr KC started the latest strike claiming failed to live up to its promises. He has forwarded a four-point memo Friday to the government. Dr KC, a senior professor at the Institute of Medicine (IoM),and the government had reached an agreement eight weeks ago. 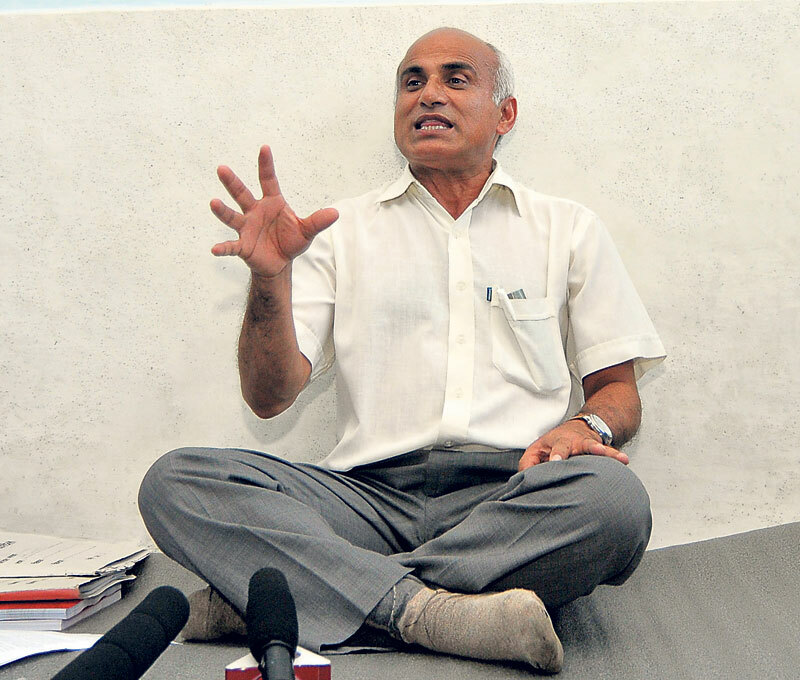 According to Dr KC, he would not withdraw his strike this time until the government addresses his demands in action. 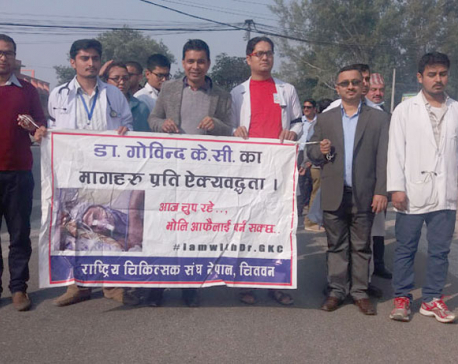 Dr KC called off his 16-day long hunger strike about eight weeks ago following the four-point agreement signed between him and the government. The four-point charter issued Friday includes implementation of former agreements, passage of the new medical education bill, initiation of the process to impeach Lok Man Singh Karki, chief of the Commission for Investigation of Abuse of Authority, and implementation of the medical fees proposed by Mathema Commission.